We kicked off the week by saying “see you soon” (but not “goodbye!”) to Katie and Anthony, who will be spending the next few months in sunny sunny Mexico! We’ll hold down the fort in chilly NYC until you get back! 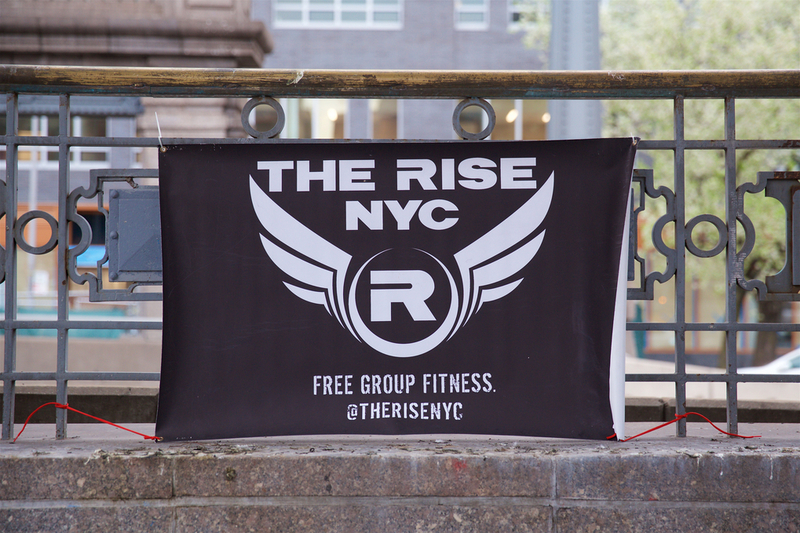 We welcomed five new Risers in Brooklyn! It was a perfect morning for some partner exercises to get to know each other. So many high fives in one workout! This week Kerri got some inspiration from a “Core and More” exercise class – including traveling pushups and plank jacks with shoulder taps…which sounds complicated but somehow works! Thomas led the group through some isometrics and karate sequences. And we can’t forget the smiley group photo! This week’s Bryant Park workout was a special one. We did TWO workouts – one at 5:30 and one at 6:30 AM. The early crew was rewarded with some killer party shades. They didn’t make the workout any easier, but they did make us look cooler while doing it! We headed to Essen afterwards for some classic coffee and conversation! Great turnout in MacDonald Park on a cooooold Thursday morning. It took a long time to warm up, but as soon as we did, the layers came off and the energy was up! Friday at the WillyB we did ANYTHING GOES! It was a chilly, but beautiful morning with a breathtaking sunrise over the bridge. We welcomed Josh Young back to The Rise after an extended absence. Great to see old faces come back!